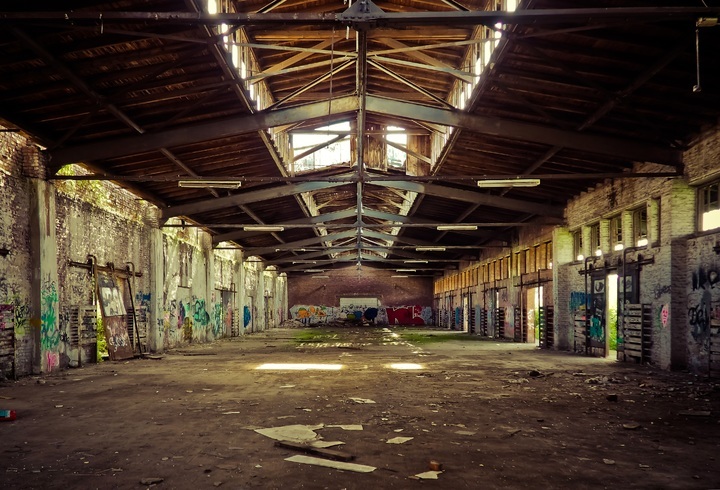 Graffiti and graffiti removal have a longstanding history. It dates back to Roman Times and it’s been around in one way or another ever since. 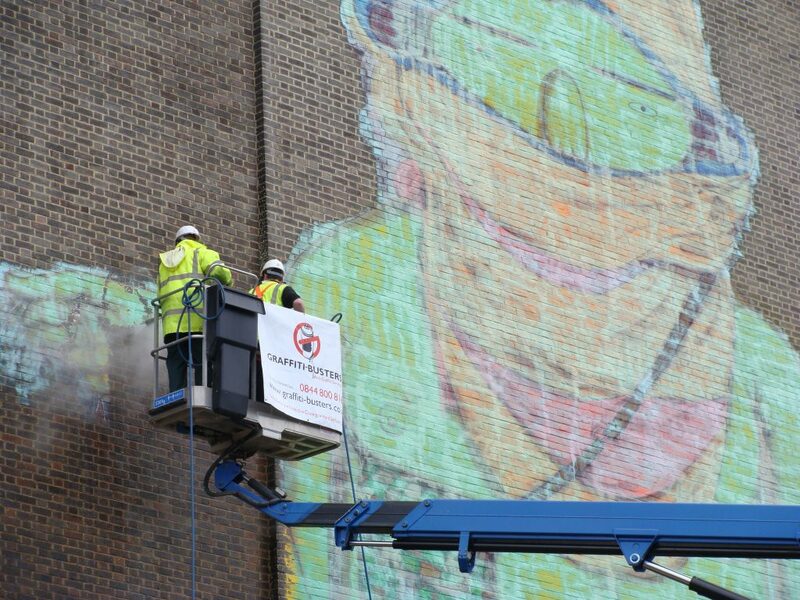 Graffiti removal is needed everywhere and at every level – as a private property owner, landlord, or as a council. For instance, the city council of Oxford spent more than £73k on graffiti removal in 2014/15, and other councils, such as in Sheffield, are also reporting that graffiti removal is a huge drain on resources. Sometimes Graffiti is delicate, expressive art applied to murals, such as the Banksy in our cover photo, but sometimes it is mindless tagging strung onto lampposts or private property. If you own a business such as a restaurant or a state-of-the-art complex/office, it can prove detrimental to the impression you are trying to portray. Your interior is high end, suddenly your exterior isn’t. We at Rawlins Paints have an extensive range of Graffiti Removal Paints and Anti-Graffiti Paints. Here is a concise overview to help you tackle the problem. Hydron Protective Coatings are a recent addition to our site and are a great place to start for anti-graffiti products. They have an extensive range for a variety of issues and environments. Starting with a lower grade of graffiti remover, Hydron AG2 is specially formulated to remove graffiti or stains from plastic, signs and polycarbonate glazing. It is great for the removal of permanent marker pen, lipstick and crayon. In primary schools, marks get everywhere whether intentional or not. 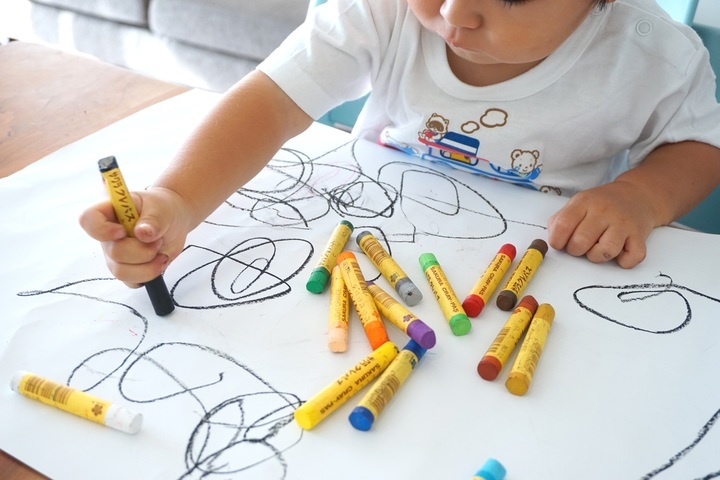 Crayons are used on desks, thrown into drawers, used on walls even when a back is momentarily turned! Playgrounds, particularly in public parks but also schools, are often used as hangouts for older children and can be targets for tagging or defacing. Marker pens or aerosol graffiti can be removed with Hydron AG2. Hydron AG3 is for removing graffiti from non-porous substrates such as gloss paint, tiles and metalwork. Like AG2, it successfully removes marker pen, crayons, lipstick or aerosol graffiti. AG3 would be a good choice for lampposts with gloss paint, parks, playgrounds or bus-stops that have metal, all-weather seating or railway stations with the same. Many children play dress-up at an early age or are dressed by older siblings without any say in the matter. This can include lipstick and makeup that can get onto playroom walls or bedroom walls, even windows. AG3 can help reverse any little mishaps. 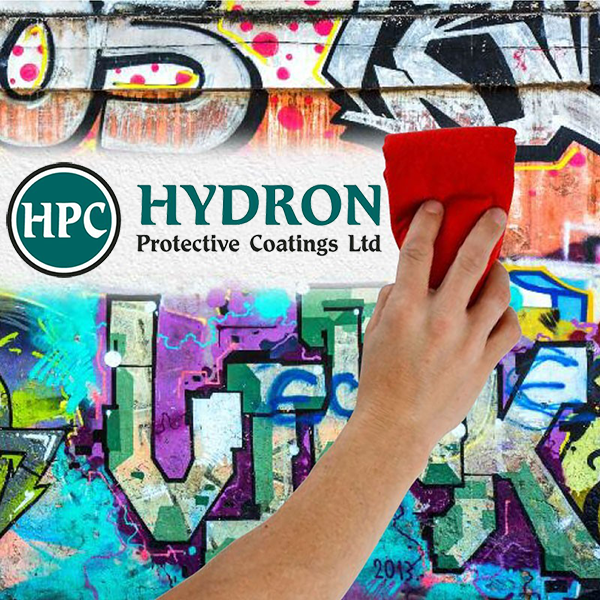 Hydron AG4 is a blend of solvents and biodegradable detergents developed to remove graffiti from more porous or extensively vandalised surfaces. The formulation allows for a longer ‘dwell time’ to help remove stubborn and heavy graffiti from concrete and brickwork. 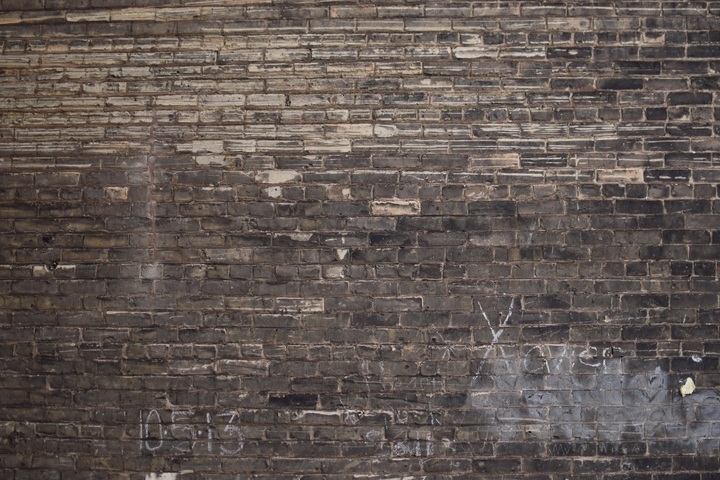 Brickwork is a big target for tagging, graffiti imagery and fly-posting. 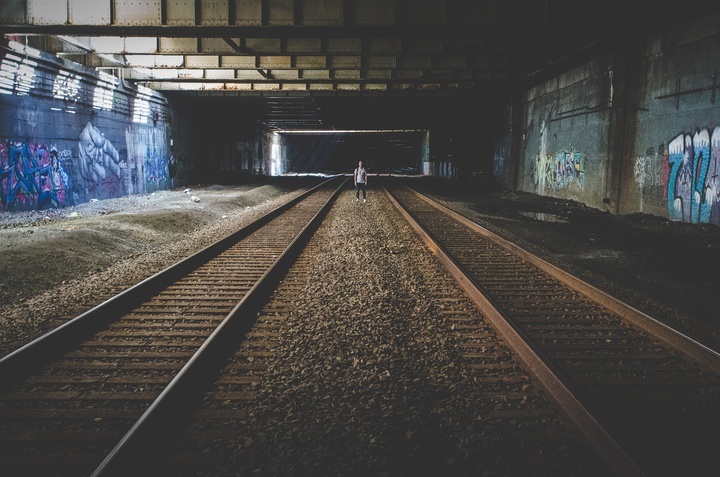 London for example – rail bridges are littered with graffiti as are sides of restaurants, end of terrace homes, government buildings, sheds in parks, cricket clubhouses, the list is endless. Concrete is also very appealing to graffiti artists. It is smooth, often large and accessible. It could be an underground car park, a section of a university campus or office blocks. AG4 is biodegradable and removes any unpleasant odours making it great for heavy footfall areas. We are all familiar with shadow graffiti. When someone has taken an inferior graffiti remover to the problem rather than a professional graffiti removal process and done their best, but the outline remains. It is also something we can empathise with if it is a regular occurrence. As a professional removal process primarily for porous surfaces, Hydron SL1 Shadow Lifter cures this problem and is excellent on concrete, stone or brick. If someone has used an aerosol paint for example, this will ensure no remnants remain. Schools and colleges are particularly prone to people leaving their mark. Whether it be a momentary crush expected to be ‘4eva’ or a visiting sports team proving they ‘was ‘ere’. Both are good to try and remove permanently. Historic buildings are what give certain cities, towns and villages such character. Aerosols take well to stone and it can remain stained. With Hydron SL1 Shadow Lifter, churches, monuments and gates can be restored to former glories. This product is ideal for removal of wax and grease as well as lipstick and crayon with minimum complication. It is a versatile choice for industries that are prone to unwanted stains such as car garages, schools, nightclubs and councils. Comes in a convenient packet of 150 wipes. 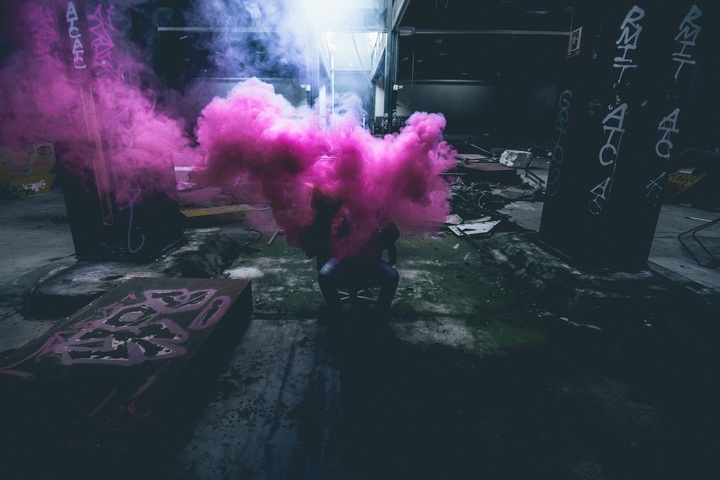 The nightclub ethos revolves around daring misbehaviour and this can include graffiti in toilet stalls or outside signs and electricity boxes. Hydron Wipe Off Stain Remover is a solution. Mechanics work with grease and wax, both of which can mark walls unintentionally and frequently. Hydron Wipe Off Graffiti Remover takes care of lighter graffiti from non-porous surfaces such as metalwork, gloss paints and tiles. It comes in user-friendly wipes and can remove marker pen as well as aerosol. These wipes are easy to use and should be applied directly after the Wipe Off Stain Remover. Simple as that. Marker pens can be used in changing rooms at schools, leisure centres, clothes shops, toilets in stations, courts, fast food restaurants, pubs, nightclubs. Aerosols are used on terraced housing, garages and the front of tiled buildings too like swimming baths. There are various other brands that offer anti-graffiti coatings to make the removal of graffiti easier. If you are cleaning a surface that has been previously treated, then it is vital you pick a graffiti remover that will not damage the coating underneath. Generally, manufacturers of anti-graffiti coatings will have created a corresponding graffiti remover and cleaner, so be sure to check the Product Data Sheet. Mathys Pegagraff-Hydro Cleaner is a gel that can be used to clean graffiti from surfaces that have already been treated with a Mathys anti-graffiti coating. It can safely be used on non-painted substrates like marble, smooth concrete and metal that have been contaminated with graffiti. 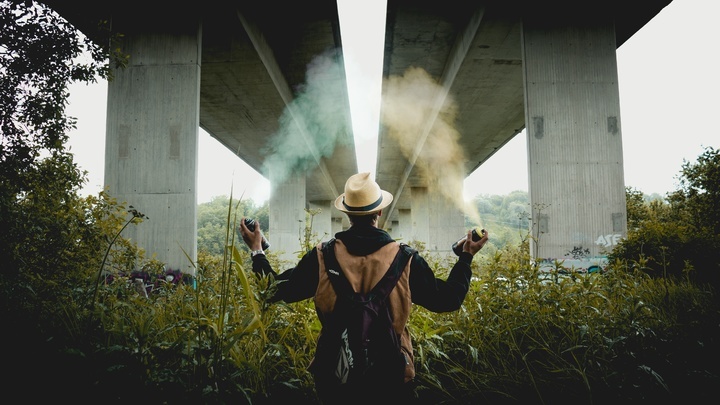 Due to the composition of the product, it is not recommended to use Pegagraff-Hydro Cleaner on surfaces that haven’t been coated by anti-graffiti paint previously or on porous materials. Rust-Oleum have their own products for both anti-graffiti paint and the corresponding remover. GraffitiShield Cleaner will clean graffiti off surfaces previously treated with GraffitiShield products. The cleaner can be used on a variety of surfaces including metals, wood, enamels and more. It is a liquid cleaner and is suitable to be used in closed spaces. Coo-Var offer a liquid graffiti remover that comes as an aerosol. It can be used to remove graffiti from surfaces coated with other Coo-Var anti-graffiti coatings. If you want to use this product with another anti-graffiti system, then testing it first is highly recommended. Coo-Var Liquid Graffiti Remover is ideal for the quick and efficient removal of other marks from ink and crayons. The best way to avoid graffiti removal of course is to install some anti-graffiti paint! This way diminishing the risk of having to remove graffiti shadow or explicit language in a rush. Once again, Hydron Protecting Coatings have a comprehensive selection of paints that can be applied to a variety of substrates. Nu-Guard AG is a unique, one coat coating that protects brick, concrete, render, stone, wood and plastic from all types of graffiti and poster glues. Flyers and advertisements being attached to your business can be a thing of the past, as well as love notes or ‘artistic names’. It is a great, versatile product that was completely re-engineered in England. It leaves no ghosting residue, can be applied with water and removes ALL paints and the majority of acids. To avoid concrete darkening as a result of the coating, Nu-Guard WB Concrete Sealer should be applied. For glazed tiles, prime first with Nu-Guard AG Adhesion Promoter. The examples are endless for such a comprehensive product. Office buildings are hit in metropolitan areas, businesses such as wooden stalls in market places, seaside resorts and second homes that people realise are uninhabited, council buildings, shop fronts, Nu-Guard AG will solve all manners of sins. To avoid the issue of graffiti removal in one fell swoop, the Nu-Cryl product offers long-lasting protection from graffiti whilst also enabling weather and UV protection. An all-in-one if you will. No re-application is required and it provides that peace of mind that unexpected costs will not arise from unwanted scribing on your walls. It is stain-repellent and water-repellent. Hydron Nu-Cryl AG has been tested to BS 476 parts 6&7 Satisfies Class ‘0’ requirements of current Building Regulation and tested to BS 6853 Determination of weighted summation of toxic fumes and Methods for measuring Smoke Density. Hydron Nu-Cryl AG Rendercoat – for stucco, plaster or self-coloured render. Hydron Nu-Cryl AG Extra – for external granite, marble, brick, polished concrete and GRC. Libraries are public hotspots, usually positioned in either listed buildings or brand-new technology centres. Due to footfall, they are also areas where people sleep rough, people congregate inside and out, and often found right in the centre of town near squares or fountains. Places to hang out. They need to remain fresh and appealing, Nu-Cryl AG will assure that. The urge to write on historic landmarks has always baffled this writer, but nevertheless it happens across Europe like some sort of epidemic. Some even carve into the stone. Tourist attractions need to remain appealing and aesthetic, which means protecting these substrates from graffiti. Coo-Var offer an easy-to-apply anti-graffiti kit for indoors and outdoors, that has everything you’ll need for the project even down to the gloves. It preps the surface, making it hygienic and protect already decorated walls from blemishes and permanent marking. This should be followed up with Coo-Var Liquid Graffiti Remover. If you fancy feeling like a pro, Rust-Oleum GraffitiShield Wax and GraffitiShield Hydro can be applied using the Rust-Oleum GraffitiShield Spray Pump 8L, the ideal tool for applying anti-graffiti products. Hiring professionals can be very expensive, so why not give it a go yourself! The pump is easy to use and can be used time and time again. Just store it away for the next project. The Rawlins Paints website already has a comprehensive blog on ‘How to Paint Over Indoor Graffiti’. It explains how to prepare the surface, decorate and introduces the reader to a variety of Zinsser products ideal for the project. If you have a project in mind or need direct answers to an ongoing graffiti issue, please do not hesitate to talk to our technical team on 0113 245 5450. Alternatively, you can email us on [email protected], leave a message below the blog or talk to our social media team who have a very fast response time too.